Whether you're an employee, faculty, student, or volunteer at Upstate, please "pitch in." 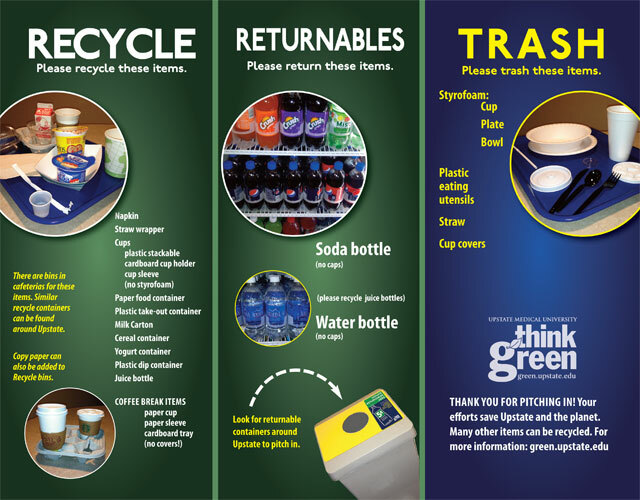 Recycling starts with you! Everyone is being asked to participate in the recycling effort at Upstate. We are asking all employees to empty their office mixed recycling containers, as needed, at a nearby Central Recycling Location. Our Environmental Services Department will continue to pick up trash from all offices.